I’ve always been a big fan of Troy Van Leeuwen. Love his work on Queens of the Stone Age, and recently the performances he did with Iggy Pop – which I’m sure was a fantastic experience for him! I’ve also been eyeballing and drooling over his Fender signature Jazzmaster for a few years now. 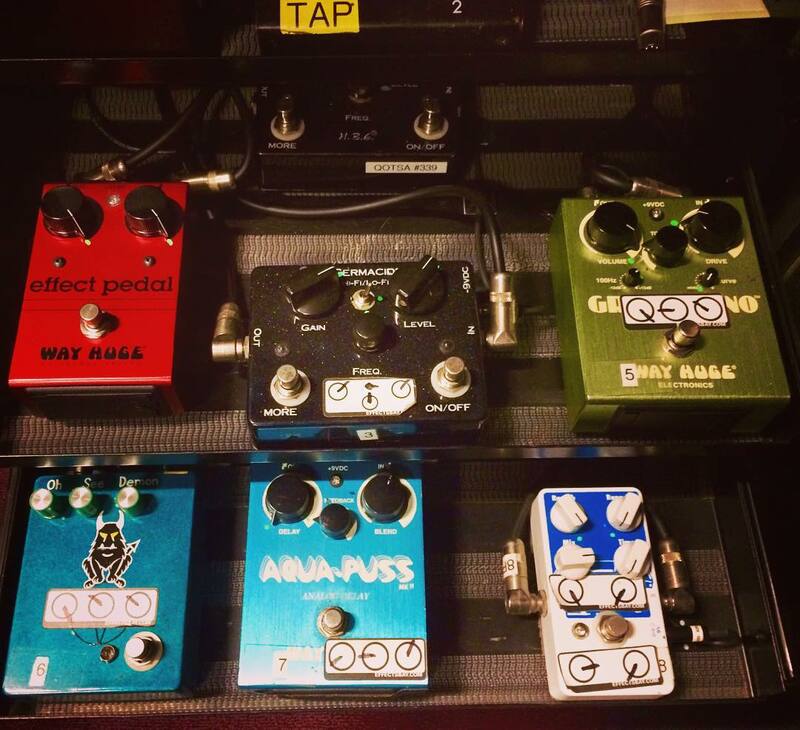 Recently, on the Way Huge Electronics Instagram page, I saw that they posted a few key pieces of his gear. 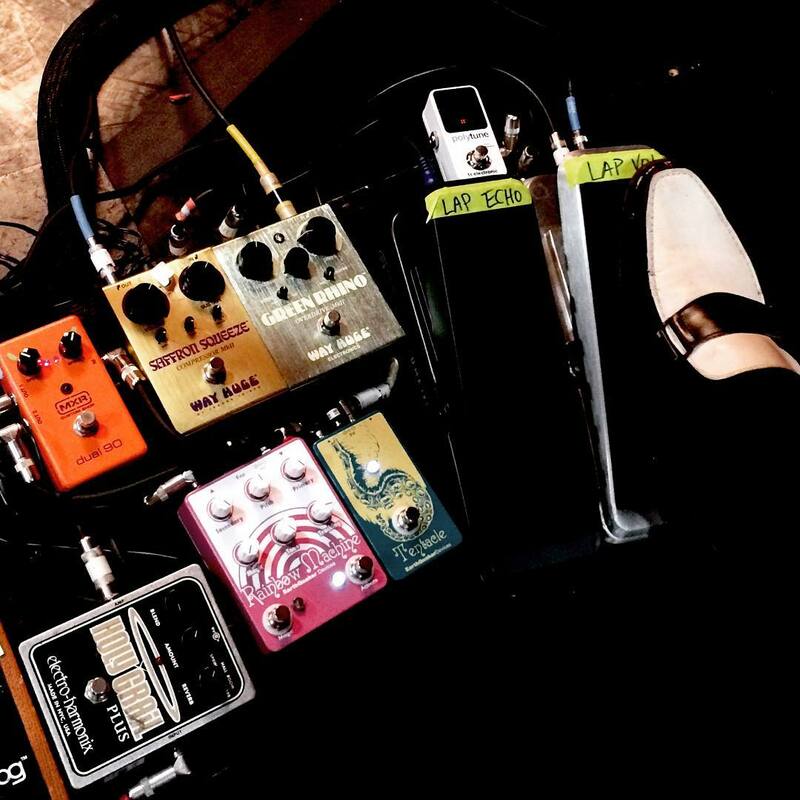 Primarily his main pedalboard as well as his pedal rack. MXR Custom Shop Dual 90 – predecessor to the MXR Phase 99? Let me know what you think of TVL, QOTSA by commenting below! Also, if you see anything I missed or if anything is incorrect, please let me know! Way Huge Swollen Pickle MKII Bundle Deal! P.s. I want his signature guitar also. I think he also had one with Yamaha which looks awesome as well.